Lactose intolerance is the inability to digest significant amounts of lactose, the predominant sugar of milk. This inability results from a shortage of the enzyme lactase, which is normally produced by the cells that line the small intestine. While not all persons deficient in lactase have symptoms, those who do are considered to be lactose intolerant. Fortunately, lactose intolerance is relatively easy to treat by avoiding foods containing lactose. No treatment can improve the body’s ability to produce lactase, but symptoms can be controlled through diet modification. Milk and other dairy products are a major source of nutrients in the diet. The most important of these nutrients is calcium. Calcium is essential for the growth and repair of bones throughout life. In the middle and later years, a shortage of calcium may lead to thin, fragile bones that break easily, a condition called osteoporosis. 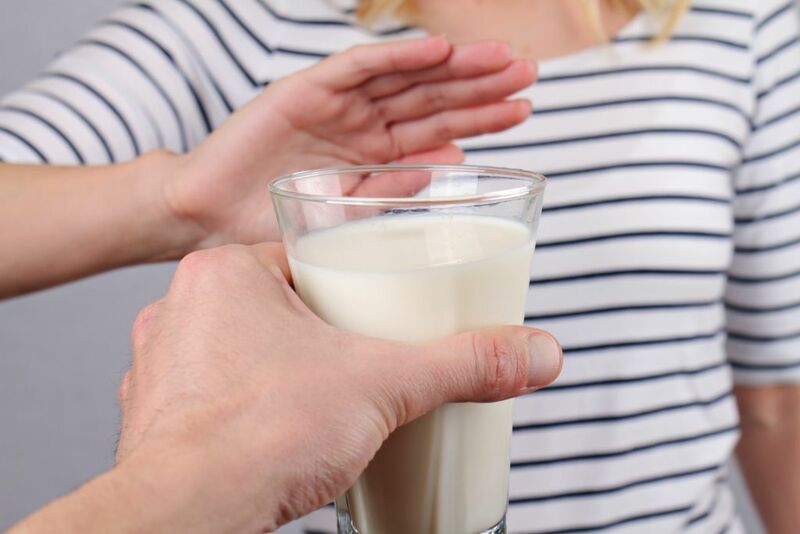 A concern, then, for both children and adults with lactose intolerance, is getting enough calcium in a diet that includes little or no milk. In 1997, the Institute of Medicine released a report recommending new requirements for daily calcium intake. How much calcium a person needs to maintain good health varies by age group. Recommendations from the report are shown in the following table. Also, pregnant and nursing women under 19 need 1,300 mg daily, while pregnant and nursing women over 19 need 1,000 mg. In planning meals, making sure that each day’s diet includes enough calcium is important, even if the diet does not contain dairy products. Many non-dairy foods are high in calcium. Green vegetables, such as broccoli and kale, and fish with soft, edible bones, such as salmon and sardines, are excellent sources of calcium. To help in planning a high-calcium and low-lactose diet, the table that follows lists some common foods that are good sources of dietary calcium and shows how much lactose they contain. Adapted from Manual of Clinical Dietetics. 6th ed. American Dietetic Association, 2000; and Soy Dairy Alternatives.